A chance meeting in central Bangkok with someone I had known for years from the long-gone Sunny Camera shop in Pinklao, led me to a used camera shop, a few metres and across the road from Siam Center in the Lido arcade. 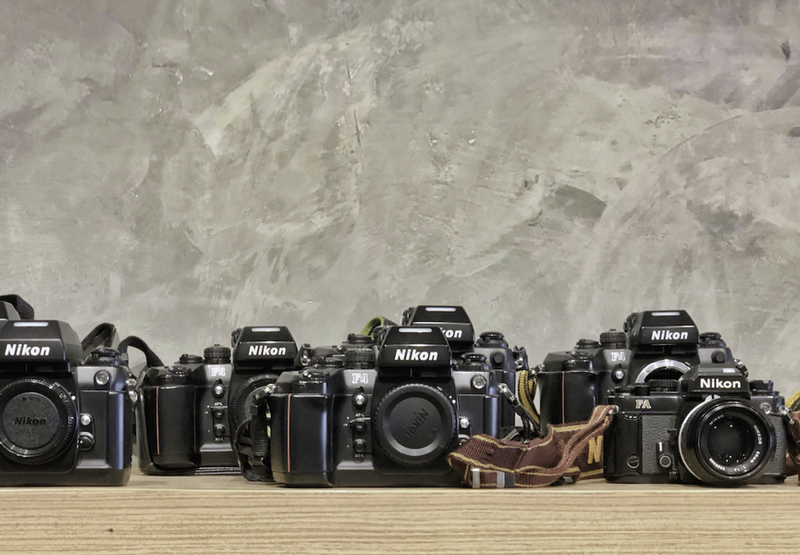 I bought my first Nikon DSLR a few years back in a long-gone shop called Sunny Camera in Central Pinklao mall. I made several other purchases there over the next few years, including cameras and lenses. When Central Group remodelled the mall area, Sunny Camera called it a day and decided not to renew the more expensive lease. Some of the staff were relocated to their shop in Silom Road. Despite being within walking distance of Chong Nonsri BTS station, it was much quieter and not as convenient as the in-mall location. Looking for a battery cover for the D7000 I had just given to a friend (who dropped it) I visited that store in late 2018 and it was empty. The previous staff members who had helped me over the years were gone. This week, I was in Siam Paragon. As I was going down one elevator, the guy I had known from Sunny Camera for all those years was going up. I waited at the bottom while he came back down. He told me that he was now working at a used camera store in the Lido arcade. As my interest in film has grown considerably in recent months, I wanted to see this. After some essential shopping I went over and found the UNIT shop fairly easily on the second floor of the arcade. Looking through the sliding door, I could see a good stock of cameras and went in. The man I knew was there, with the owners, and he showed me round. 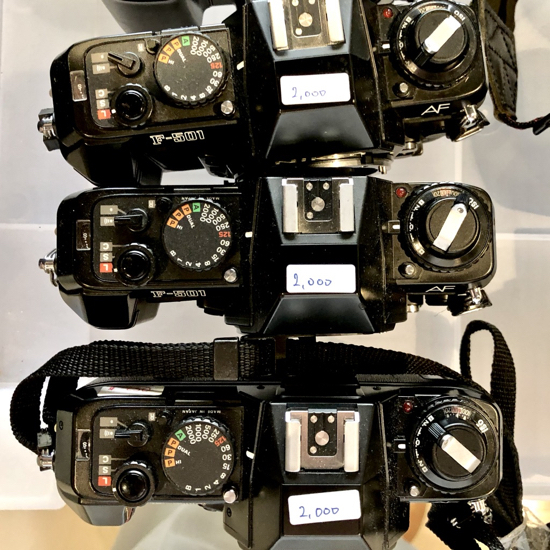 There were several shelves full of a good range of used cameras, all of which looked quite clean. There were a number of medium format cameras on display, including Mamiya, Bronica and a couple of Hasselblad bodies. I did ask but no film backs for the Hasselblad were available, other than the couple already with camera bodies. 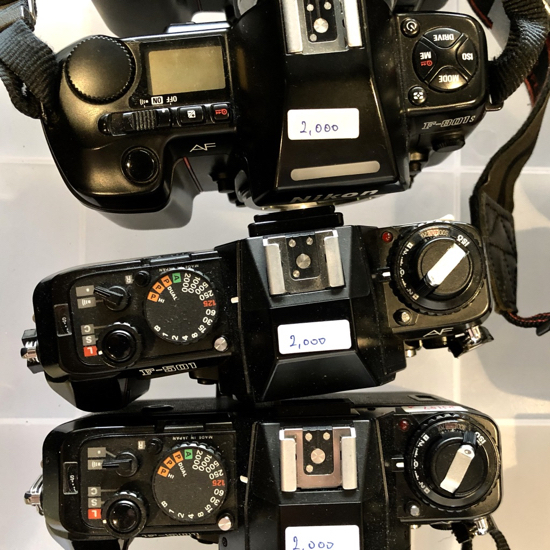 As well as a good selection of Nikon and Canon cameras, I could see a fair number of lenses, including 5 or 6 M42 lenses: the screw type that fit my 35mm Mamiya/Sekor 1000 DTL. I tried one: it connected smoothly and I took a couple of test pictures on the roll of Ilford 125 film I am currently using. As I am expecting a Nikon FM2 to arrive in the next few days, this looks like a good source for a suitable lens. I had planned to use one of my current Nikkor lenses, but both automatic and old-type manual F-type lenses are available here. In the middle of the shop was a set of medium-level shelves with some low-priced cameras, mainly at 2000 baht. Several of these were Nikon F501, which also uses the Nikon F-type connection. Again these were clean outside and the two versions I opened were also clean inside: dust-free; and the shutter curtains with no apparent defects. 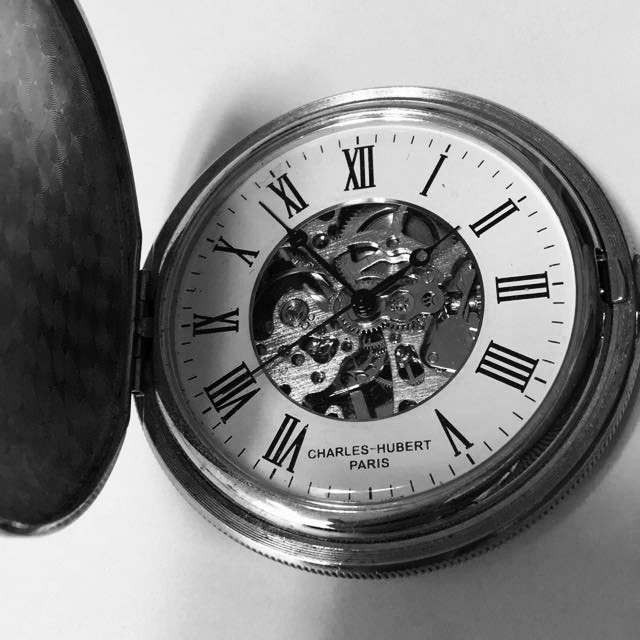 A quick check on eBay showed several examples of this model (body only) from 2,000 to 3,000 baht with one or two below 2,000 (caveat emptor). They are on LINE (@unit_bangkok), Facebook, where some of the cameras can be seen; and Instagram. A phone number is listed: +66 (0)2 252-3262. There are a few used camera shops in Bangkok, such as those in Mega Plaza, Yaowarat, but the location and the style may not suit everyone. 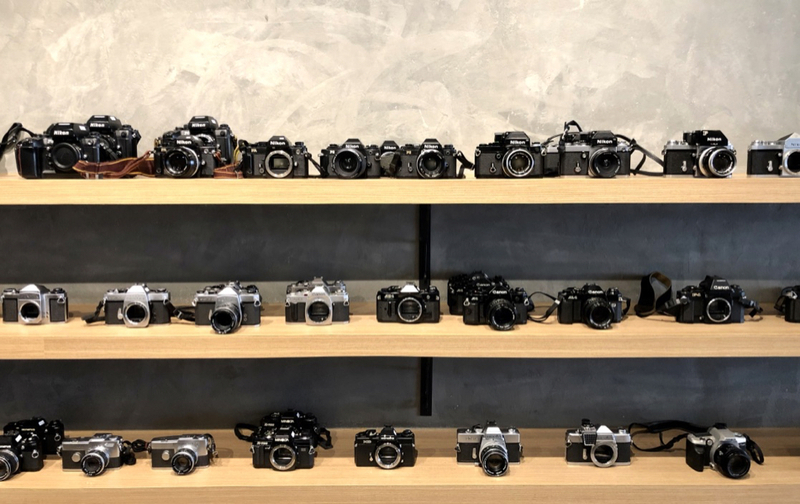 With a site in one of Bangkok's main shopping areas, UNIT is well-placed with its stock of accessible used film cameras and lenses.